I recently toured the new community pool and club house at Hammock Preserve in Palmer Ranch. Homes in Hammock Preserve start in the low $300,000's, but you'll end up in the mid $400,000's after lot premium and interior upgrades. If you've been to Sandhill Preserve, its by the same builder, with most if not all of the same amenities and similar floor plans. Hammock Preserve is located on Honore Road, south of the traffic circle at Central Sarasota Parkway. You can also take Hwy 681 from the south, and drive north at the traffic light on Honore. 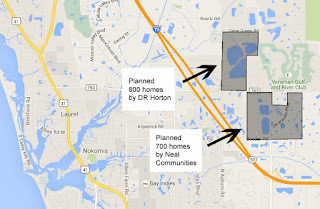 For an upscale community, fees in Hammock Preserve are low. 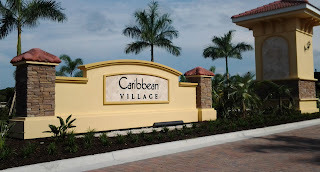 The HOA is $220 per month, and unlike new construction in Lakewood Ranch or in The West Villages in Venice, there is no CDD fee. I serve more new home neighborhoods by this builder in Mallory Park in Lakewood Ranch, and Islandwalk in The West Villages. For a list of currently available quick move in homes for sale, and more information, visit my website. Remember, new homes cost the same when you're working with your own Realtor. You don't have ti sit waiting in a new home sales center waiting for someone to help you. Please contact me when you're ready to tour.